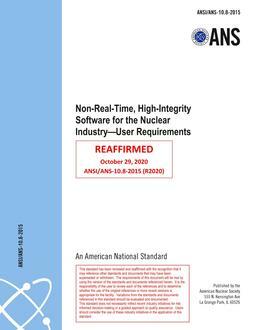 This standard provides minimum requirements for assurance that high-integrity software developed for use by the nuclear industry meets state-of-the-practice expectations for quality. The requirements in this standard are specified for development of high-integrity sofware. The intent is to set a minimum level of quality assurance and critical technical process requirements to satisfy due diligence. 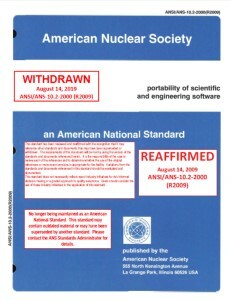 This standard addresses rigorous, systematic development of high-integrity, non-real-time safety analysis, design, and simulation software that includes calculations or simulations requiring high functional reliability in order to avoid undetected errors tha could have serious consequences if such errors are not detected (the scope of this standard does not include electronic procedures).